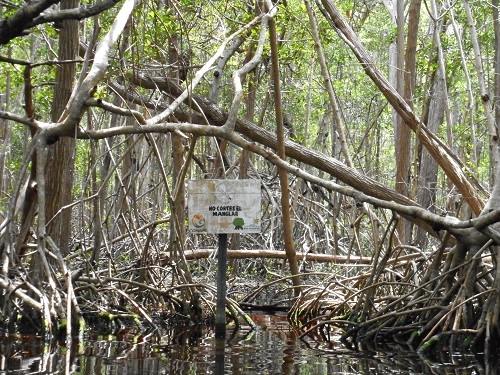 If you’re looking for a quick getaway, Celestún Biosphere Reserve makes a fascinating day trip from Mérida. 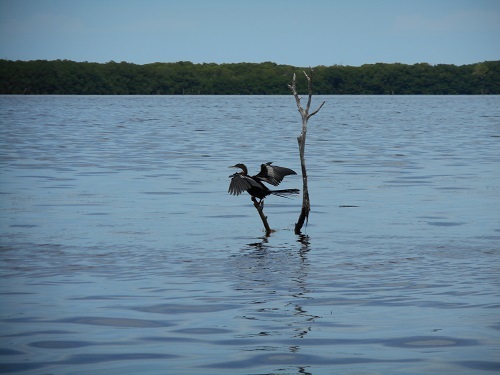 Located on Yucatán’s northwest coast about 95 kilometers/60 miles west of Mérida, the reserve’s pristine mangroves, saltwater marshes and freshwater springs provide a welcome change of pace from bustling city life. 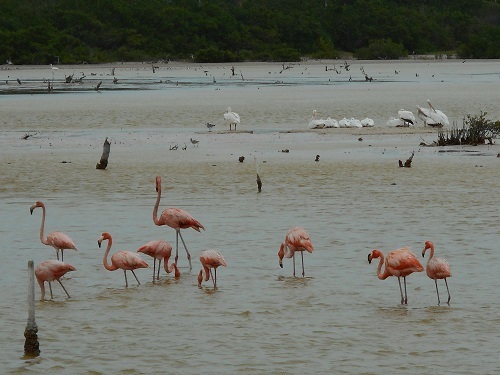 Impressive wildlife, including the world’s largest population of American flamingos during winter months, is the reserve’s main attraction for visitors. Depending on your budget and disposition, you can choose from several transportation options to reach Celestún from Mérida. The safest bet is to secure a place on one of the group vans operated by tour agencies in the city. You also can take public buses, which leave hourly from Mérida’s Terminal Noreste. If you’re more adventurous, rent a car and try navigating on your own. 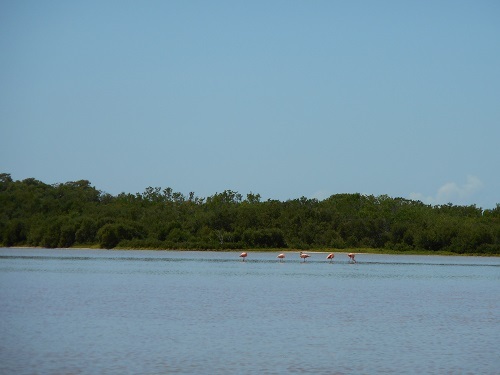 Tour-agency trips offer the convenience of transportation to and from Celestún along with pre-arranged boat trips to view the flamingos. 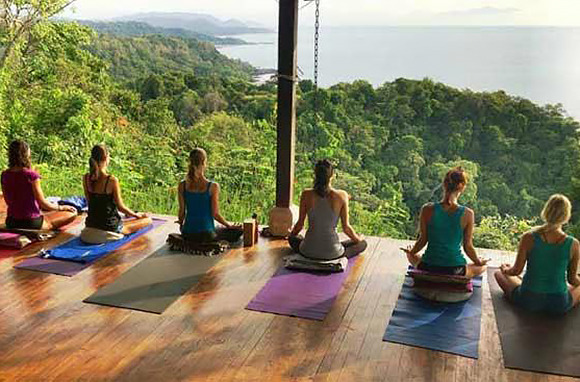 Most agency trips also feature a midday excursion to the Celestún beach, where you can swim in the Gulf of Mexico, gather plentiful seashells and feast on a fresh seafood lunch in a beachfront restaurant. Prices for the agency tours vary, but a recent trip cost $850 pesos (about $50 U.S. dollars). This was a reasonable option, considering the price included a bilingual (Spanish-English) driver/guide, boat tour, beach excursion and lunch. The recent tour featured a congenial mix of a half-dozen U.S. and Mexican tourists. During the outbound trip lasting about 90 minutes, the driver, Francisco, kept his passengers entertained with a steady commentary on passing sights and knowledgeably answered questions. After leaving Mérida, the trip passes through Hunucmá, a picturesque small town, and several traditional Mayan villages separated by long stretches of open country dotted with small farms and ranches. 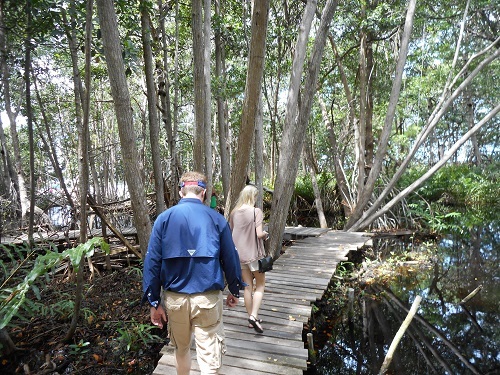 Arrival in Celestún brings a striking change of scenery dominated by thick mangroves and sparkling estuaries. 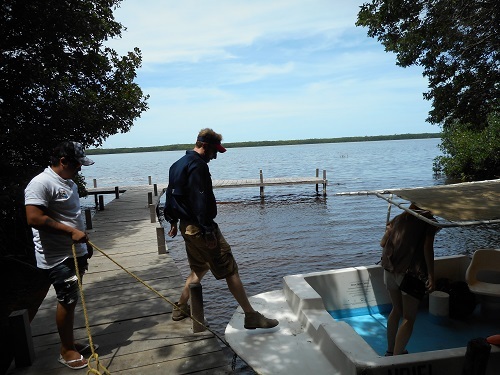 The 1.5 hour flamingo tours depart from a rustic visitor’s center with a pier at which many small motorboats dock. 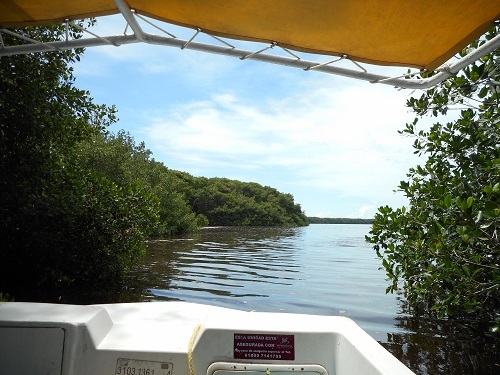 The boat ride through the expansive Ría Celestún inlet offers sweeping vistas of mangroves and marshes, where you can spot herons, cormorants, frigate birds and many other winged species. 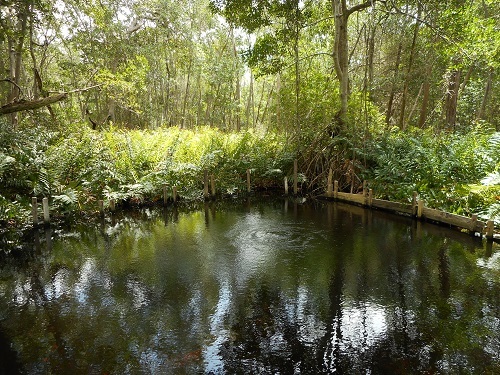 A stop at an ojo de agua (freshwater spring) allows for a brief swim, if you’re not intimidated by a small crocodile or two that may lurk nearby. The high point of the trip is viewing the flocks of flamingos, which can number as many as 30,000 during mating season from November to February. The pink birds with elongated necks and spindly legs are fascinating to watch as they feed and wade in the shallow water. But their numbers drop sharply in summer, when your boat guide may be hard pressed to find any. If you have time and travel by public bus or rental car, consider staying overnight in one of several small hotels in Celestún. 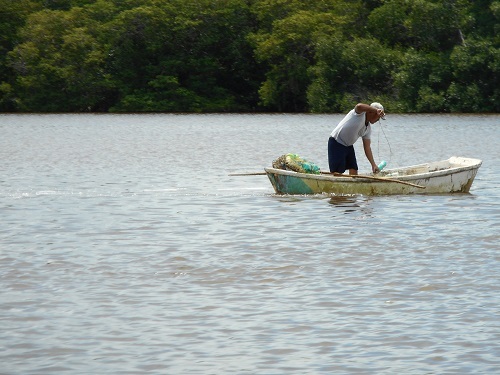 This permits wider exploration of the 146,000 acre park, known formally as the Reserva Ecólogica de los Petenes, and pleasant shell-strewn beaches. 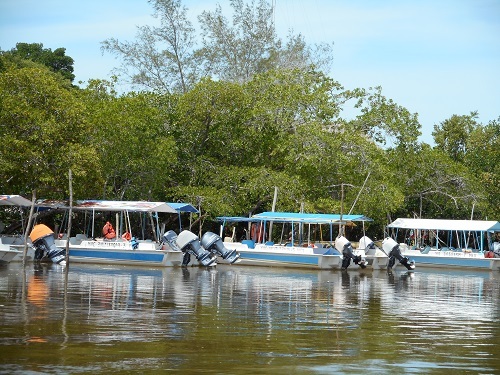 You’ll need to make your own arrangements for boat tours and possibly hire a private guide. Whatever your length of stay, the trip to Celestún will boost your spirits with its impressive natural wonders.